Jack Clark Eblin, 82, of Huntington, WV, passed away on Saturday, April 13, 2019, at St. Mary’s Medical Center after a brief illness. Jack was born December 13, 1936, in Huntington, WV to parents Leonard and Evelyn Eblin. He was married to Judy Stewart Eblin for 62 years after a seven-year courtship that began at the age of 14. Jack did his undergraduate studies at Marshall University in Huntington, WV, where he was a member of Sigma Alpha Epsilon Fraternity and The Robe. He received his Doctor of Dental Surgery from Northwestern University in Chicago, Il, where he served as President of his class for three consecutive years. In 1960, Jack was commissioned as an officer in the United States Navy. Based in Charleston, SC, Jack served on active duty as a dentist aboard the USS Everglades, where he was captain of the ship’s pistol team. He retired from the United States Naval Reserves as a Lieutenant Commander in 1974. Jack started private practice in dentistry in 1962, in Huntington, WV. He retired in 2006, after a distinguished dental career. He served as President of the Huntington Dental Society, West Virginia Dental Society, and the West Virginia Board of Dental Examiners. He was Chief Examiner of the Northeast Board of Dental Examiners. He was a Fellow of the American College of Dentists and the International College of Dentistry. He was a lifetime member of the American Dental Association. Jack was involved in several civic and charitable activities. 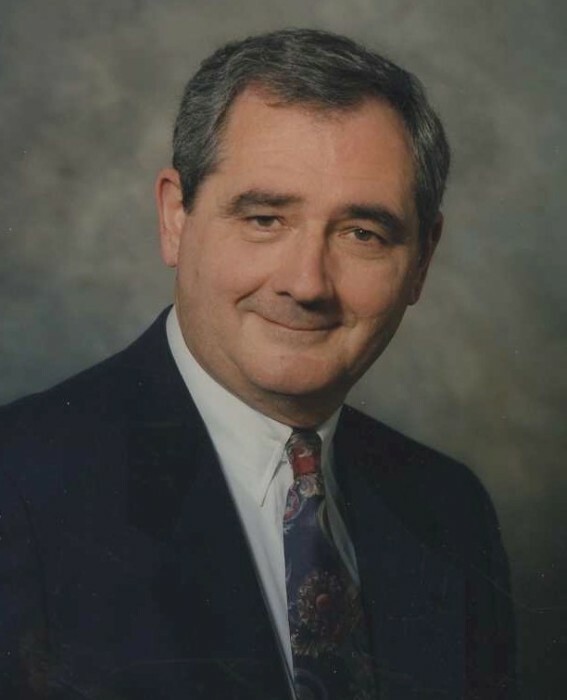 He served on the Boards of Directors of the Cammack Children’s Center, the Barnett Child Care Center, the Huntington Rotary Club, the Marshall University Big Green Scholarship Foundation, the Marshall University Alumni Association, and the Marshall University Yeager Scholarship Program, where he served as a member of the original Ground Crew. He was a Founding Member of the Childrens Dental Clinic at Cabell Huntington Hospital. He was a member of BPO Elks of Huntington. Jack was an active member of First United Methodist Church Huntington, where he served on several committees. Jack’s interests and hobbies were spending time with family and friends, travel, and golf. He was an avid fan of Marshall University athletics. Jack was preceded in death by his father, Leonard Harvey Eblin, mother, Evelyn Ellison Eblin, and brother, James Ellison Eblin. He is survived by wife, Judy Stewart Eblin, sons Scott Stewart Eblin (wife, Diane) of Marina del Rey, CA, Steven Ellison Eblin (wife, Rhonda) of Asheboro, NC, grandsons Andrew Scott Eblin, of San Francisco, CA, and Bradley Garrett Eblin, of Sacramento, CA, sister in law, Mary Margaret Eblin Cheatum, of Lebanon, TN, nephew, Matthew Eblin, of Atlanta, GA, niece, Lea Ann Eblin, of Discovery Bay, CA, and “special sister,” Betty Fleckenstein, of Huntington, WV. Funeral services will be at 2:00 pm on Wednesday, April 17, at First United Methodist Church Huntington, officiated by the Reverend Doctor I. Mark Connor. The family will receive friends prior to the funeral from 1:00 pm – 2:00 pm at First United Methodist Church Huntington. A brief graveside service will follow the funeral at Spring Hill Cemetery in Huntington. Pall Bearers are John Fleckenstein, William “Skip” Holbrook, Jeff Leaberry, Phil Nelson, Parker Ward, Jr., and Matt Zban. Honorary Pall Bearers are Bob Barrett, Tom Bell, Dr. Zeb Burton, Jr., Dr. Leo Fleckenstein, Ted Henry, John Kinzer, and John Minichan. Beard Mortuary of Huntington is arranging the service. The family would like to thank Doctors Jeff Leaberry, Brooke Leaberry, and Mark Studeny for their long time and ongoing support of Jack’s medical needs.